I live in south central Alaska on the Turnagain Arm. 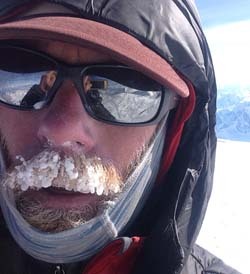 I’ve been working for Mountain Trip since 2007 and had the chance to climb to both the north and south summits of Denali on my 15 trips with the company. Outside of the Alaska Range I work for Chugach Powder Guides and instruct awareness classes at the Alaska Avalanche School. To me there is nothing better than hot drinks on a cold morning at the 14,200′ Camp on Denali!.